Matchmade is the leading influencer marketing platform for games. We analyze every games-related YouTube channel and video to make it easy for you to find the best content creators for any game. That’s over 2.5 Million YouTube channels, and over 20 000 games. Founded in Helsinki in 2016, the company also has an office in Berlin. 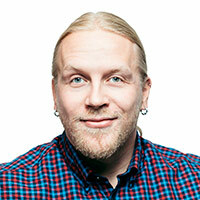 Matchmade is founded by games industry veterans Jiri Kupiainen (CEO) and Leo Lännenmäki (CTO). 17 years in games & tech. Programmer, producer, serial entrepreneur, Disney VP. Founder and CEO of Matchmade, the leading influencer marketing platform for games.